I went to a THREE DAY EVENT TRIALS just 12 mins from my house!! SUCH BRAVE RIDERS! Do you remember a while back when I wrote about FRECKLES, the horse at the R Lazy S Ranch who was owned by one of the wranglers? Freckles watched all the goings on, especially the Team Penning? And that he wasn’t a ranch horse but rather a 3-Day Event horse? 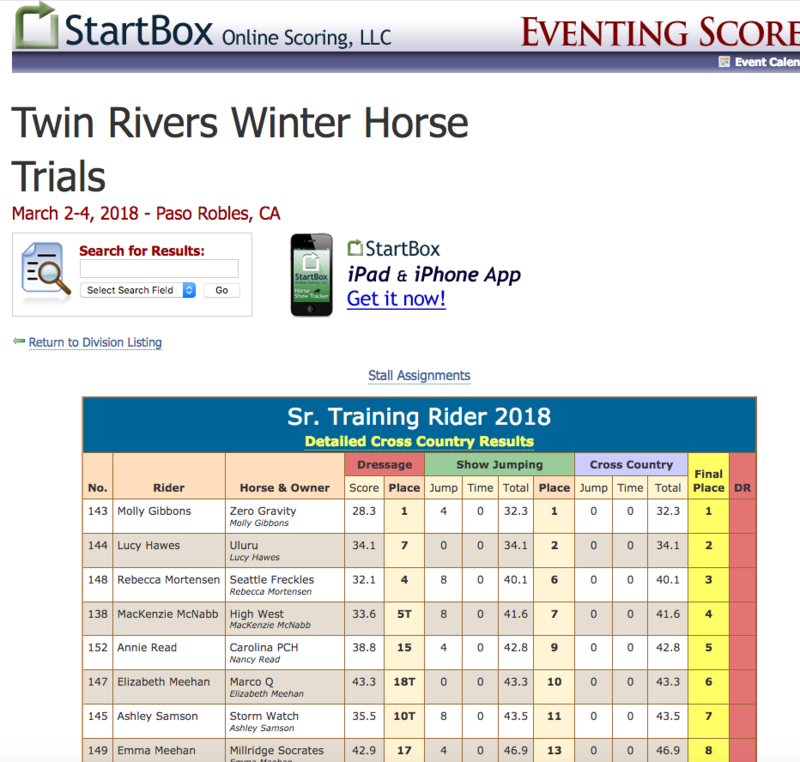 Well… he and his wrangler (plus 3 other rider friends) came and stayed at our AirBnB last weekend while they competed at Twin Rivers, which is an event center just 12 minutes from our house! 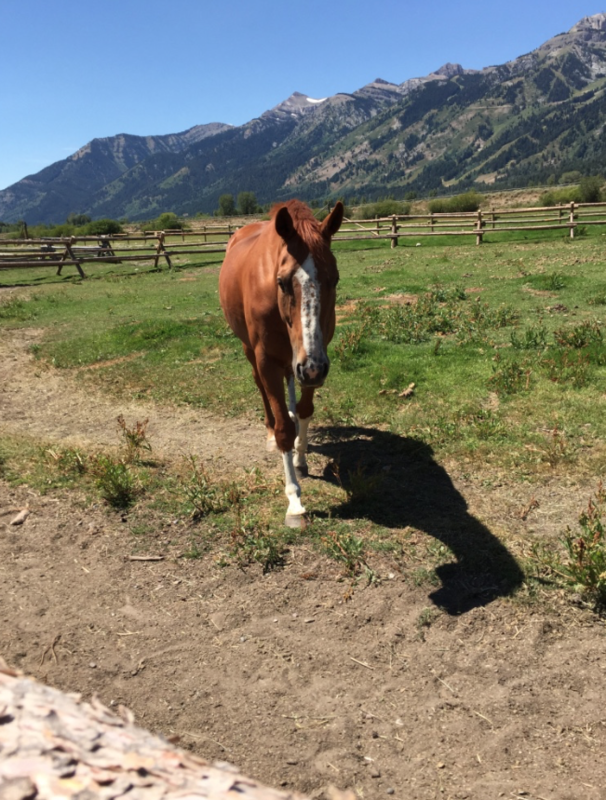 Freckles, the 3-Day Event horse, casually hanging out at the R Lazy S Ranch in Jackson, Wyoming. The Tetons are behind him. The conditions could not have been worse. 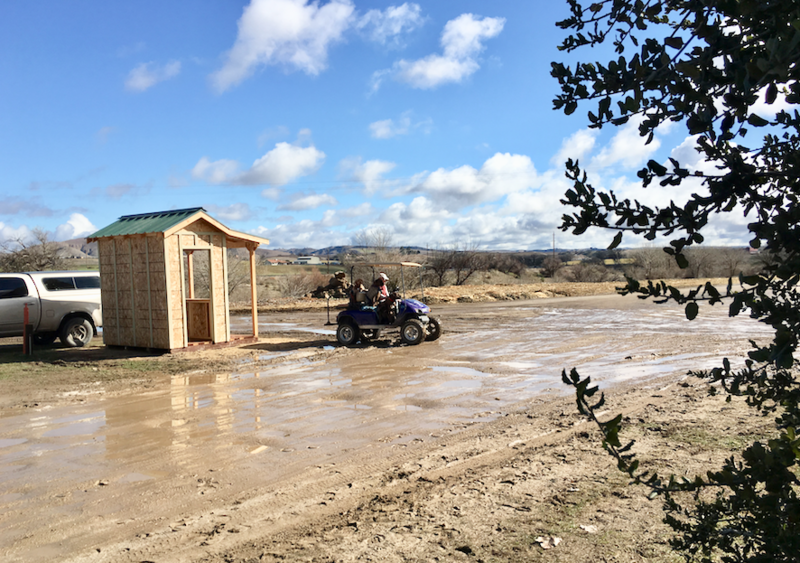 We, in Central CA, have had hardly any rain, yet – IT ALL CAME DOWN during the 3 days of this event. I was miserable just dealing with my own horses in their pens at my house. 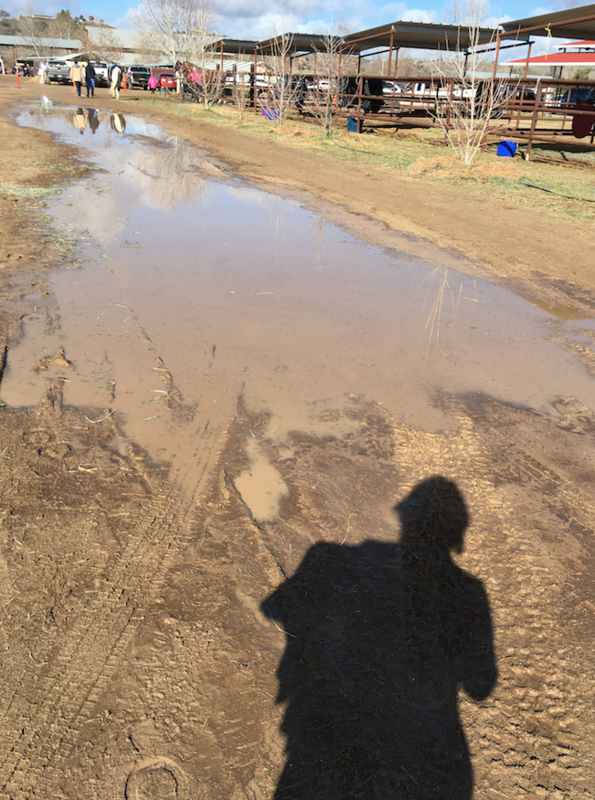 I could not imagine the wet mess of hundreds of hooves and water would make at the arenas! All of the contestants at this Twin Rivers 3-Day Trials had to do their best in messy, gooey slop. Amazing. 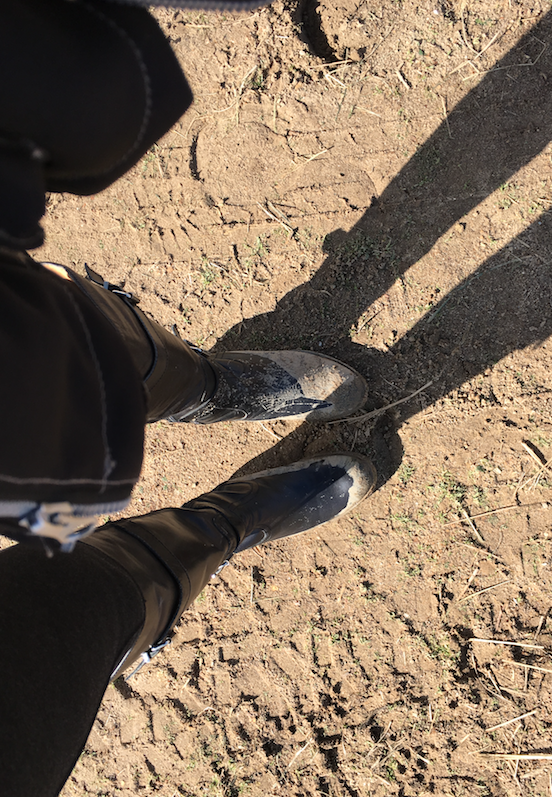 Dressage, Show Jumping and a Cross Country Course, in slippery, clay mud. Oh and deep puddles. Sigh. Our ground here doesn’t absorb water, it collects it. Anyway, these ladies spent 4 nights at our AirBnB, but I hardly knew they were there… because they weren’t there much. I swear, these ladies were crazy for their work! They were gone before I fed in the morning, and they came back after it was dark. The entire day, in POURING DOWN, SIDEWAYS RAIN, they spent at the course. On their final day, they invited me to watch the Show Jumping – the rain had cleared by then. Yes! This is the venue near my home that I had yet to visit… Click to go to website. So I knew of Twin Rivers because I have referred traveling Morgan trainers to overnight there on their way to the Santa Barbara shows. I had passed it numerous times but I had never actually been on the grounds. On Saturday, I went. First of all, there were so many trailers, I knew this was a big deal. I mean, it looked like 5 Trailer Sales lots crammed into one, huge football field. 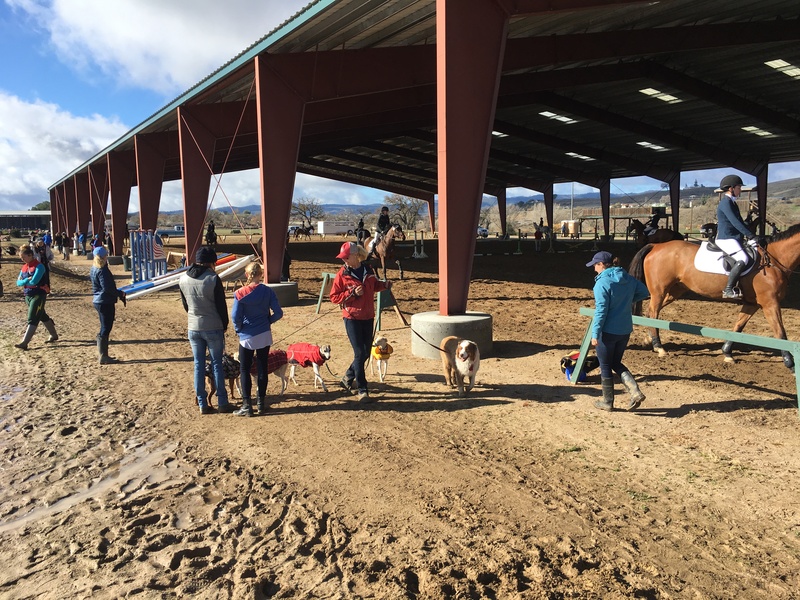 Yes, the dog kennels were set up.. the golf carts, groom areas, some vendors… but mostly rows and rows and rows and rows of portable stalls filled with gorgeous horses. 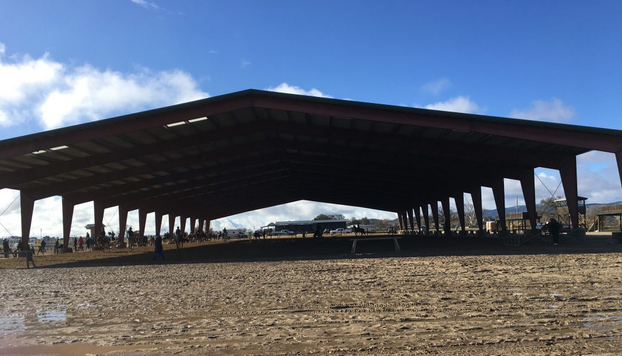 There were several warm up arenas, a few covered HUGE arenas and many paddocks of all shapes and configurations. 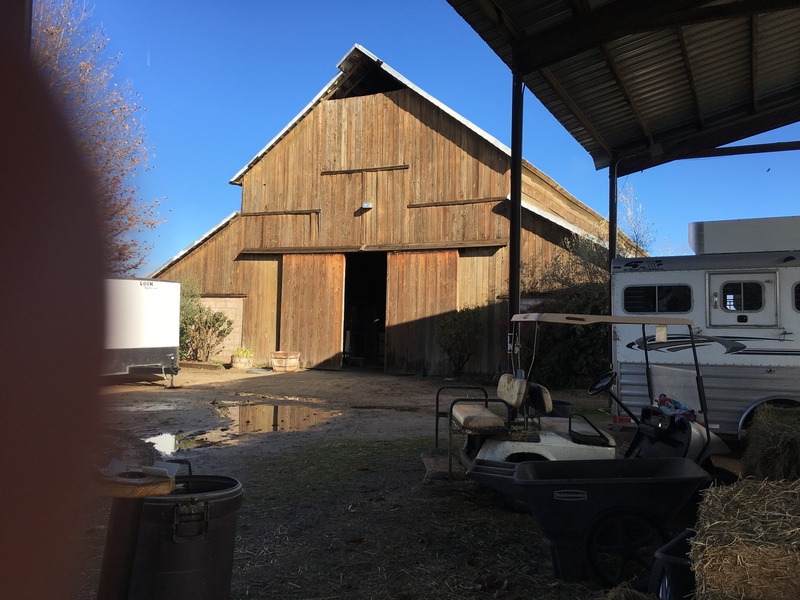 You could tell this has been an old ranch because there were still old, beautiful barns and homesteads. A lovely place situated on the Salinas River. I walked around and wondered why had I never come here in the 1.5 years that I’ve lived in San Miguel?! I think I might join their club, if they take non 3 Day Event horses. 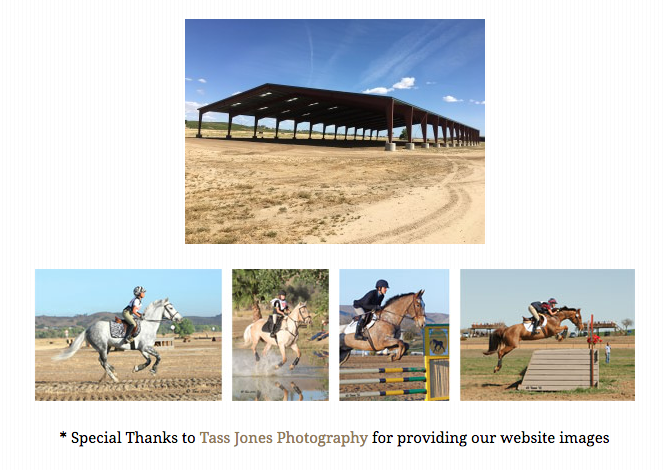 I think it would be a terrific place to ride and train my horses. I could see that this venue was probably one or two larger ranches a while back… some lovely old buildings around. One of the huge, covered warm up arenas. You can barely see the horses in there! Luckily, it wasn’t too wet in there. Definitely a day for rubber boots. I managed to keep mine relatively dry. What struck me was the rotation of people who were watching the events. Of course, it all made sense once I was there… but I always thought that there was a constant gallery of people who watched and applauded. But in reality, or on this day, that gallery changed with each rider. Which, of course, makes sense. 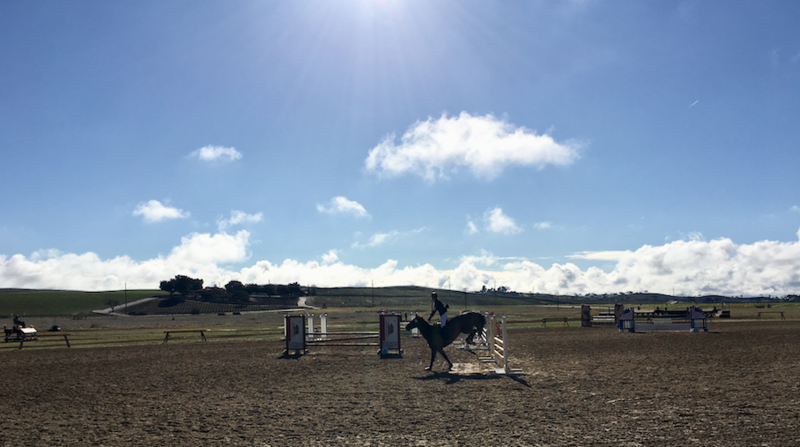 The rest of the time, the riders and their crews were warming up or cleaning tack or walking the course… no one was hanging out watching others, unless they wanted to or neeedd to. I was struck by the lovely tack and couture. And, I was struck by the quality and skill levels in these large horses. As I was waiting for my friends to go, I saw this lady walking her 4 dogs. I had a jump right in front of me and I couldn’t get a good pic! It takes talent! MY GUESTS CAME IN 2ND AND 3RD! I had no idea my guests were such high ranking riders! No wonder they were gone all day… they were part of the dedicated group who work really hard – and on some days, they reap! I visited the Grass Valley house!